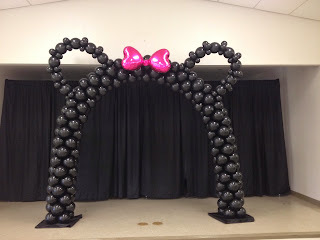 Party People Celebration company created this Minnie Mouse ear arch with hot pink bow to put behind a 8ft cake table not pictured in this photo. 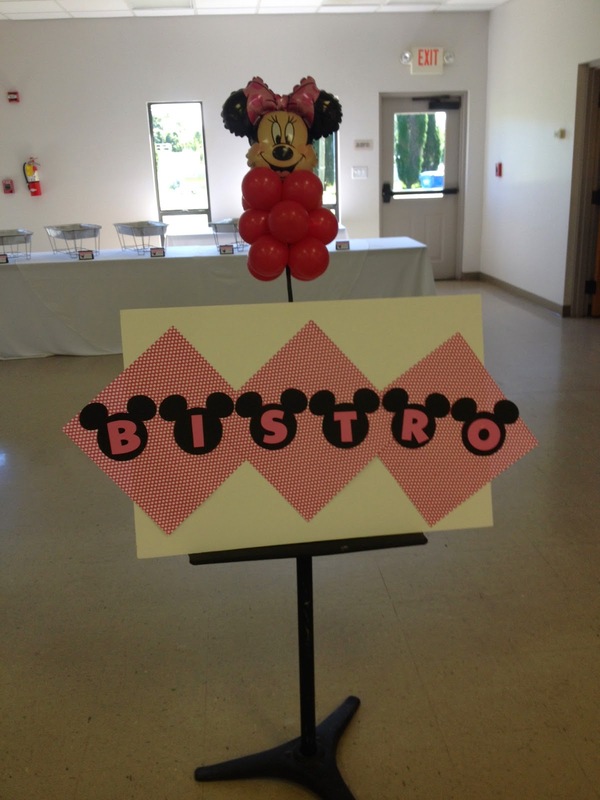 14 inch Minnie mouse heads make fun centerpieces and sign decor! 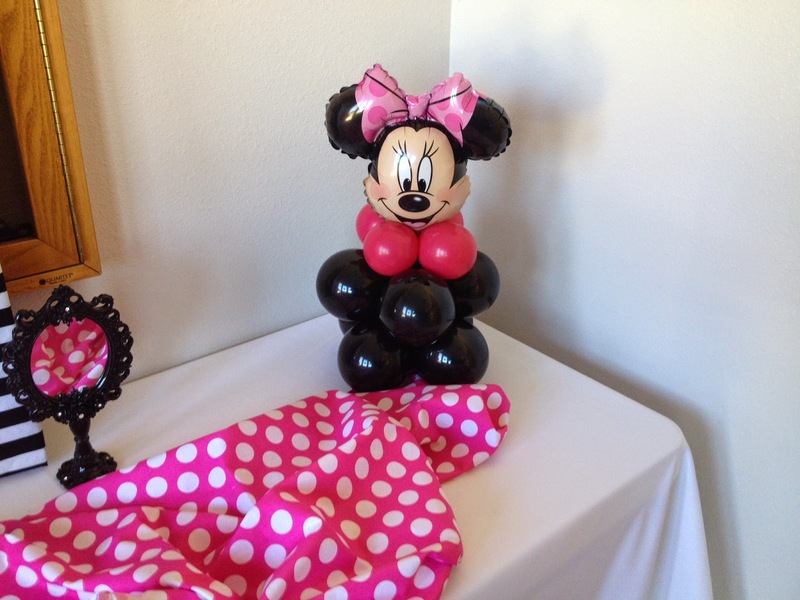 Party People Celebration Company is based in Lakeland Florida, and travels throughout Central Florida and beyond to meet our clients needs. Call 863-255-2025 or email partypeoplecc@msn.com to have us create the custom decor at your next Special Event!